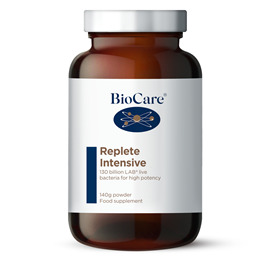 BioCare`s Replete Intensive is designed for intensive, short-term use to help establish healthy gut flora quickly and can be used alongside, or immediately after antibiotics. 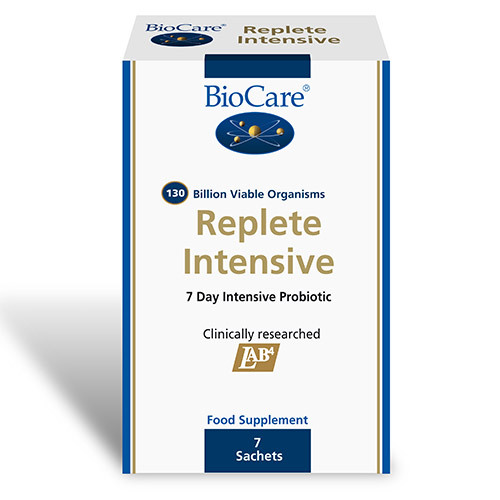 Replete Intensive delivers 100 billion viable probiotic organisms per day, providing the unique LAB4 complex which contains two strains of Lactobacillus acidophilus and two strains of Bifidobacterium bifidum, chosen for their acid tolerance and high adherence to the gut wall. The transient strain of Lactobacillus bulgaricus is also included to help provide a maximally beneficial environment in which the other strains can thrive. Fructooligosaccharides (F.O.S. ), Potato Maltodextrin, Apricot Powder, Lactobacillus acidophilus, Lactobacillus salivarius, Bifidobacterium bifidum & Bifidobacterium lactis. NB: In some instances, Replete Intensive may initially increase flatulence and bloating and cause diarrhoea. If discomfort continues reduce intake to half a sachet or discontinue altogether. Not suitable for individuals suffering from colitis, gastric ulcers or intestinal obstruction. Below are reviews of Replete Intensive - Intensive Probiotic - 7 Sachet by bodykind customers. If you have tried this product we'd love to hear what you think so please leave a review. 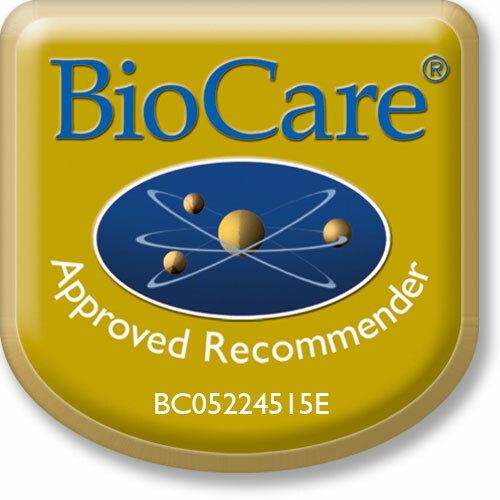 BioCare Replete Intensive is designed for intensive, short-term use to help establish healthy gut flora quickly and can be used alongside, or immediately after antibiotics.